This April 2017 file photo shows a Payless store in San Francisco, California. Payless taught fashion influencers a lesson about shoes by opening a fake store that sold Main Street kicks at Madison Avenue prices. Payless ShoeSource held a fake launch party in Santa Monica, California, for the bogus label "Palessi" and invited fashionistas to sample the seemingly expensive merchandise. The VIP shoppers paid as much as $645 for shoes that sell from $19.99 to $39.99 at Payless. Payless posted a video of what happened on Facebook, with some unwitting influencers commenting on the "high-quality material" of the "elegant, sophisticated" bargain shoes. 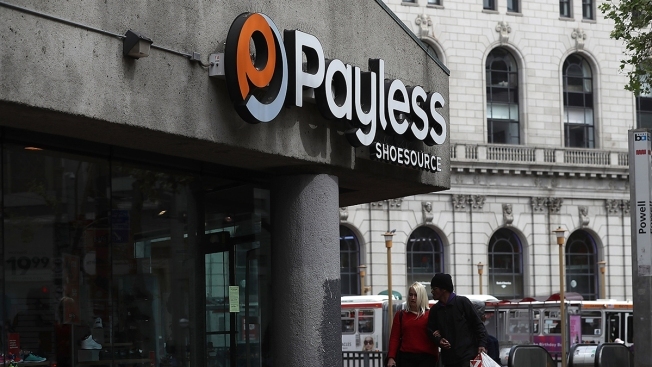 The store rang up $3,000 before Payless came clean with the reveal. One shopper exclaimed, "Shut up! Are you serious?" “The campaign ... aims to remind consumers we are still a relevant place to shop for affordable fashion,” Payless Chief Marketing Officer Sarah Couch told Adweek. The shoppers' reactions will be featured in a series of commercials.